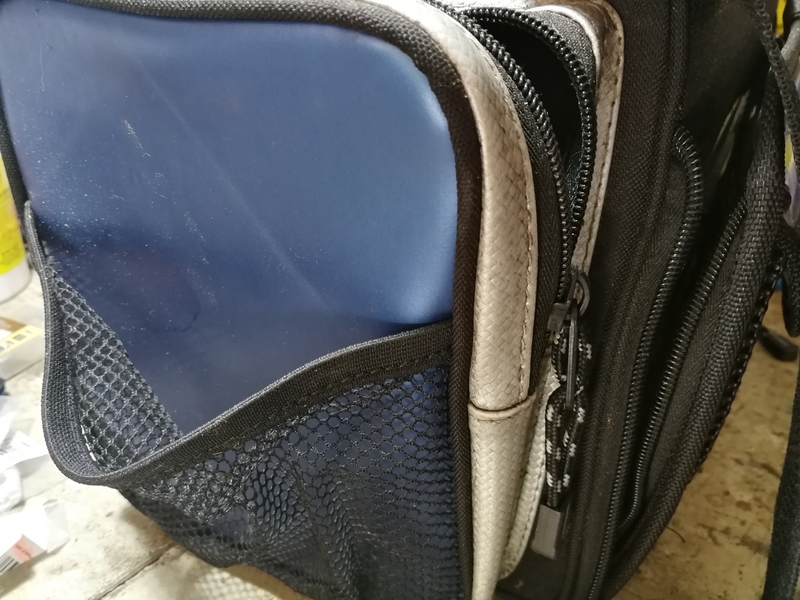 It gets the job done but is bare bones as far as compartments and pockets. The zippers are a little small but haven't proven to be an issue yet. 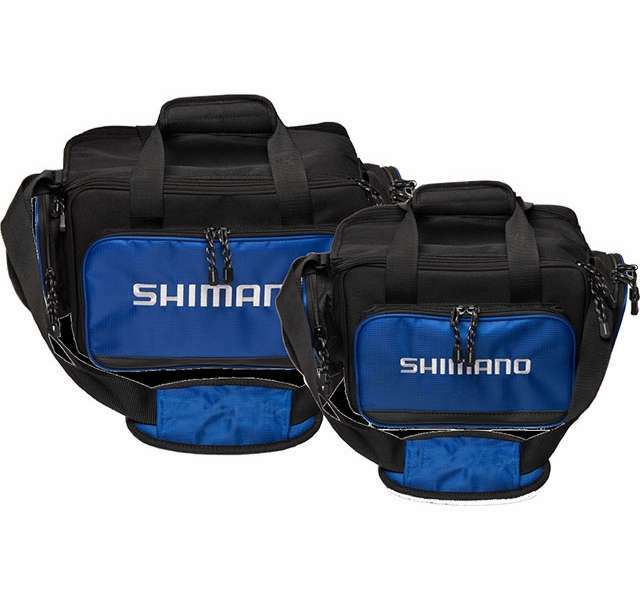 The plano/shimano boxes it comes with are nice and would like to purchase more of them. 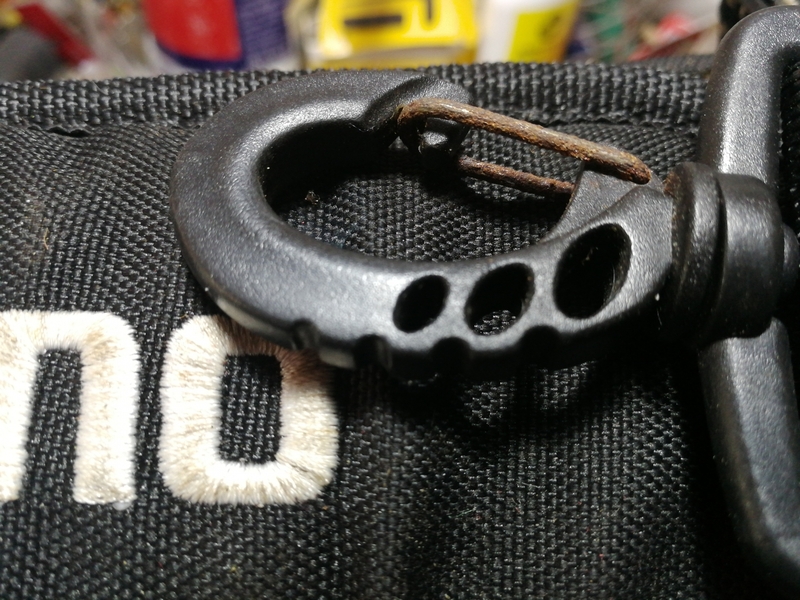 Just expected some better quality and craftsmanship from a shimano item. I bought this product about 1 year ago and initially met my needs. After a few months and very few boat trips, the belt hooks (BUILT IN SIMPLE IRON) are completely rusted until they break. The zippers are too small and are easily blocked even for the slightest saltiness. ProsLarge possibility of storage. Plano boxes. 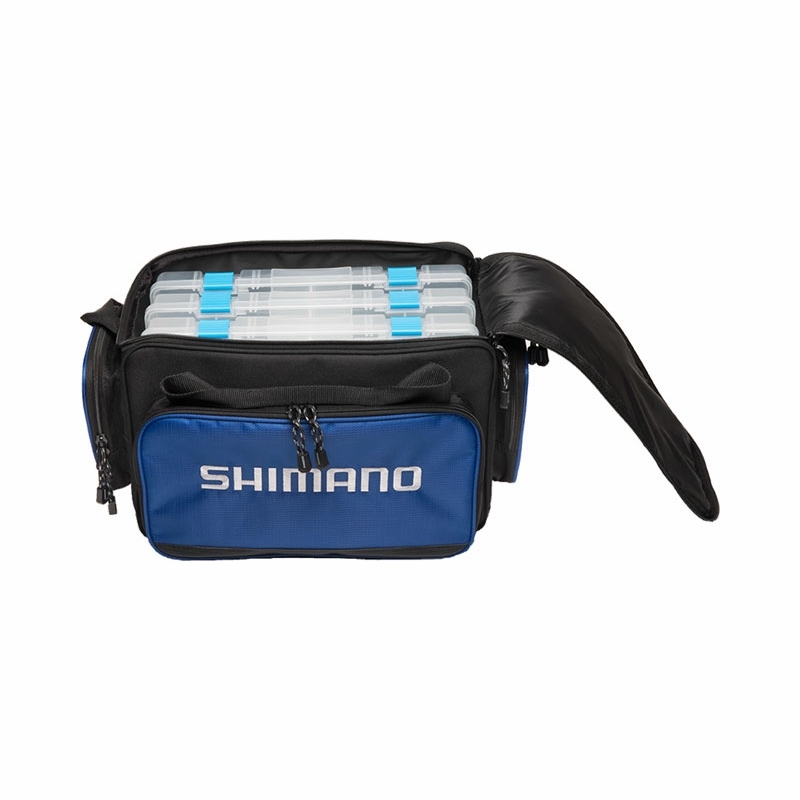 Good deep bag but would be better if it was more water resistant. ProsDeep bag can hold lots of gear. 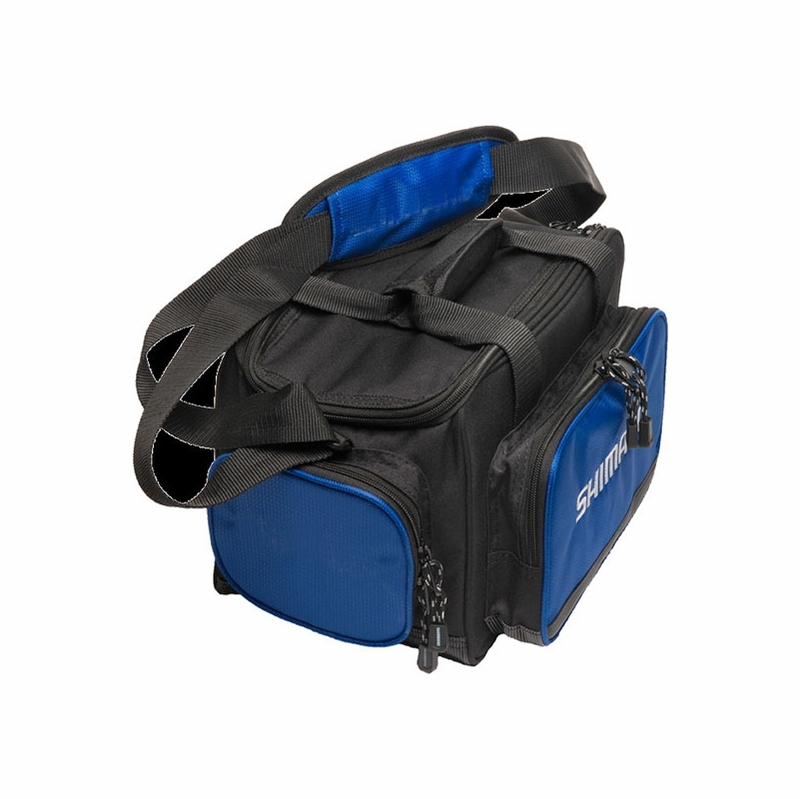 This bag is perfect for 3/4 day to overnight trips and holds 4 quality boxes. Pocket space is a bit on the small size but fits what I need. Better made than expected,water proof bottom good product. 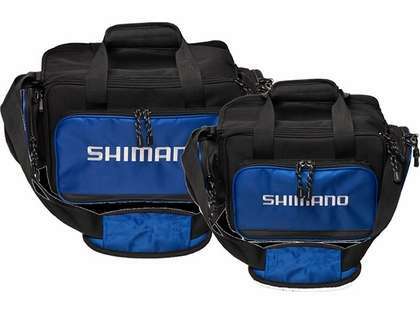 Very large plano boxes and a quality bag, can't beat it. 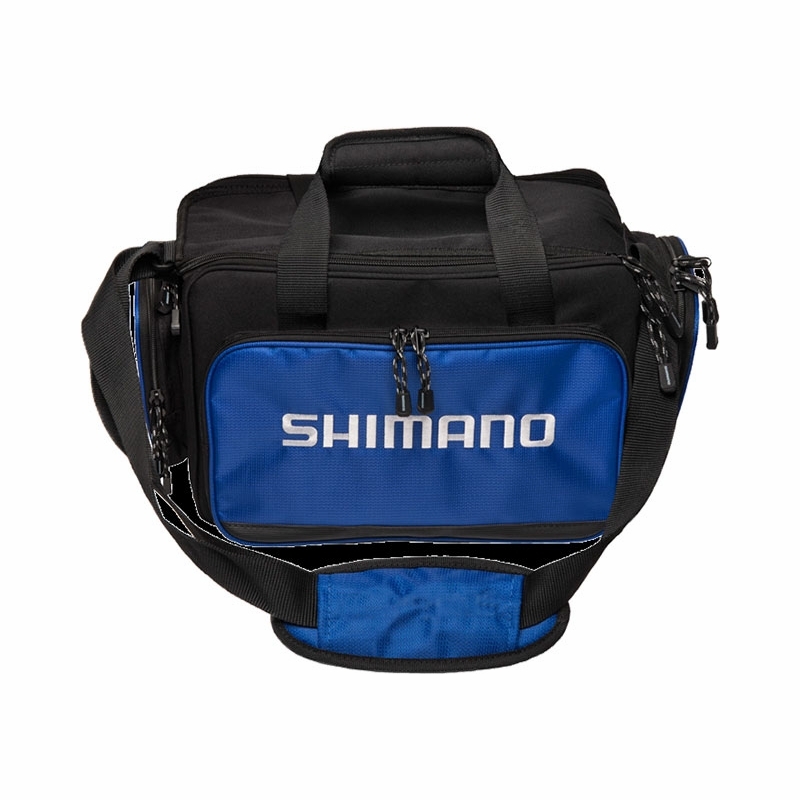 The dimensions for the medium bag are 14" X 8.5" X 9" and the dimensions for the large bag are 17" X 10" X 10". Thank you for considering TackleDirect for your fishing needs.